Transport - Info Support B.V. 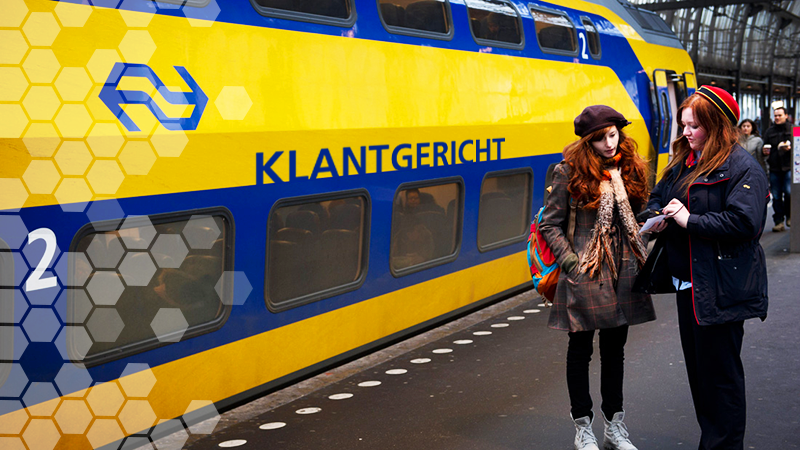 The Netherlands’ infrastructure is some of the best in the world. Every day, millions of people use that infrastructure to get from A to B. In order to utilize this infrastructure to the maximum, demanding criteria are imposed for accurate and timely information provision, optimal planning and safety. Technical innovation and chain cooperation are essential to ensure that the transport of all these people using this infrastructure goes smoothly. Info Support more than lived up to the confidence we had in them from the start. ‘The trip must be improved from door to door’ and ‘The traveler in first, second and third place’ are familiar slogans emphasizing that the traveler is increasingly the priority. The growing use of smartphones and developments like the Internet of Things make it easier to inform travelers directly. Not only when they are planning a journey, but also when circumstances cause that journey to be delayed. We have the knowledge and experience to integrate travel information from different systems and display it to the user in a straightforward manner. To this end, we realize web portals and mobile applications for chain organizations in public transport to quickly and accurately provide travelers and transport company employees with the most up-to-date travel information.